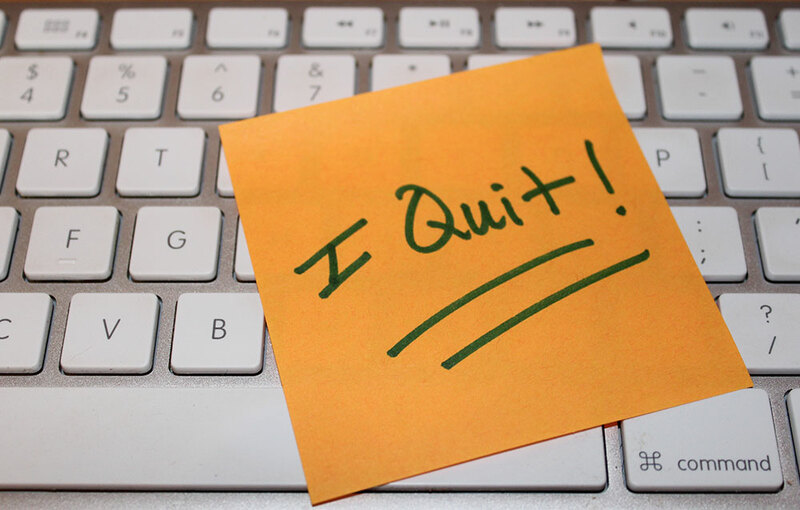 Top 7 Reasons Your IT Professionals Are Quitting | Horizon Technology Partners, Inc.
Managers I work with are always talking about their talent. Empirically they understand that the team they put together is the reason they have success. Failure might fall in their lap due to poor management but success is directly related to the caliber of team they’ve assembled. Talent is a commodity managers value for good reason – top talent makes your department more productive. Finding top talent can be difficult if you don’t have the skills needed to secure the contract. Retaining top talent is even more challenging and nearly impossible to outsource. Most managers do all they can to find and hire the best talent in the industry and yet many of them do little to retain that talent they worked so hard to attract. It’s a competitive market for IT Professionals. With low unemployment and still not enough qualified candidates with college degrees entering the workforce you shouldn’t give you IT Professionals any reason to leave their current position. Hiring a new IT professional is expensive so once you find the perfect recruit you don’t want to lose them because they believe the grass is greener elsewhere. And to top IT talent the grass can be made greener just about everywhere. If you don’t keep your top talent happy, engaged and compensated someone else will. IT professionals understand that their skills are in high demand and up to 1/3 are expected to search for positions with other companies while working for you. Employees don’t quit their job they quit their boss, so what are you doing as a manager to ensure they don’t quit you? Would you work for a company that had no advancement opportunities? Of course not. Don’t expect your people to do the same. Make sure there is a clear path for advancement and help them to achieve those new positions even if it means they are no longer on your team. We all want to feel challenged so make sure your talent is able to stretch their brain with new problems to solve. No feedback is probably the biggest complaint from employees and contractors alike. Let your team know how their doing. It’s a simple process that can be as informal as a chat at their cubicle or during a monthly meeting. Let them know you appreciate what they are doing and also let them know how they can do better. You’ll be rewarded with a more engaged team who feel they’re really part of the company. If you want to keep your top talent you’re going to have to offer educational opportunities so they can stay informed and relevant. Bring in speakers to talk about what’s new in the industry, provide a tuition reimbursement program for continuing education and send them to industry conventions when appropriate. This happens more often than you think. A manager recruits a great candidate only to sit her in a cube without any training but possibly some outdated HR manual. Spend the necessary time training your new recruits so they feel confident in the role they play on the team. Money alone won’t make your talent stay with you. If you aren’t providing a caring work environment, learning opportunities, feedback etc…. no amount will ensure they stay. If you provide those intangibles and fair compensation you’ll be able to hang on to most of your people. The same goes for benefits. They alone won’t make someone stay but they can be the difference between staying and leaving if all things are equal. Make sure you offer a matching 401k plan and allow them to become vested as soon as possible. Allow flexible time off and if possible the opportunity to work from home if convenient. You’ll never be able to keep all of your top talent but if you work to engage your team, ensure they have a clear path to promotions, feel as though they are valued and are provided feedback you’ll be able to considerably lower your turnover rate. © HT Partners 2017. Developed by SEO Social Experts. Join our mailing list to receive the ongoing trends of IT industry right in your mailbox! YOU HAVE SUCCESSFULLY SUBSCRIBED. THANK-YOU!